Thanks to Connie Gayer for this week’s photo and also to Rochelle for hosting the challenge. “Grandda! Grandda! Look, green leaf!” I clapped my hands and said. He tilled the soil, watered and nurtured the plants. I remember sprinkling some beans, thinking of getting a beanstalk of my own like Jack. But none showed up. It’s raining. Best time for the plants. I see them smile or I feel so. The peas, tomatoes, bell peppers, eggplants and other colourful flowers are all dancing with joy in my small garden. 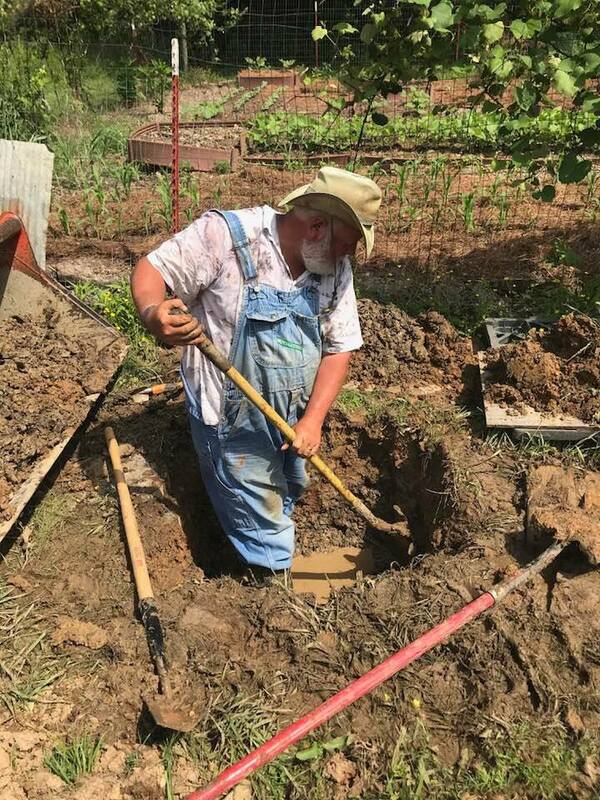 Toiling the soil is hard but he taught me well. Love the idea of plants ‘dancing with joy’. Nicely done, Norma. Good advice passed from generation to generation. Lovely story. There is so much that we learn from our grandparents. What a beautiful memory you’ve shared. I think, grandparents and their grandchildren share a special bond. Lovely nostalgia and memories Norma. I like this story, Norma. It’s a lovely picture of the child learning her lessons well from her Grandda. We learn so much from them. Lovely reflective writing. I really love the smiling plants.